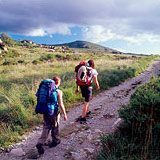 Kerry Way is Ireland’s longest and most popular walking trails. At over 200km, it takes in some of the most dramatic and isolated countryside in Ireland. Fully sign-posted, it starts and finishes in the town of Killarney and loops around the beautiful Iveragh peninsular. Iveragh Peninsula, County Kerry, Ireland. 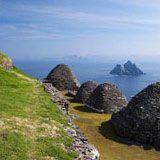 Situated on a rocky outcrop 11.6km off the Iveragh peninsula, Skellig Michael is an outstanding example of an early Christian monastery, dating back to the 8th century. Designated as an UNESCO World Heritage Site in 1996, its history and remote setting has fascinated historians and visitors alike for centuries. Ross Road, Killarney, County Kerry, Ireland. Formerly the ancestral home of the O’Donoghue clan, Ross Castle was built in the late 15th century and is located on the edge of Lough Leane in Killarney National Park. 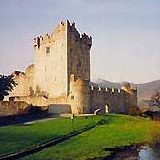 The castle was one of the last strongholds in Ireland to fall to Oliver Cromwell’s Parliamentary forces in the 1650s. The National Park, Killarney, County Kerry, Ireland. 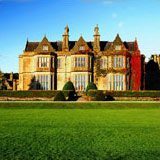 Built in 1843, Muckross House is a 65 bedroom Tudor style mansion house located on the small Muckross peninsula between Muckross Lake and Lough Leave, approximately 6km from Killarney. The house, gardens and traditional farms are all open to the public. Derrynane, Caherdaniel, County Kerry, Ireland. 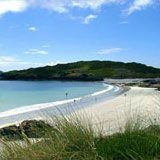 The long sandy beach at Derrynane Bay, near the village of Caherdaniel, is reputed to be one of the cleanest and most picturesque beaches in the world and forms part of a National Heritage Area. You could also visit Derrynane House, the former home of Daniel O’Connell, one of Ireland’s foremost politicians and campaigners for the rights of Catholics. Sandhill Road, Ballybunion, County Kerry, Ireland. 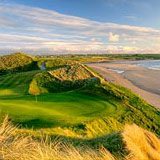 Ballybunion Golf Course is located on the North West coast of County Kerry on a majestic stretch of sand dunes overlooking the Atlantic Ocean. The course is famous for its spectacular views and beautifully contoured fairways that present a challenge to even the most proficient of golfers. Killarney National Park, Killarney, County Kerry, Ireland (off the R562 Killorglin). 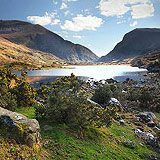 Hewn from solid rock by slow-moving ice over two million years ago, the 11km Gap of Dunloe is one of the finest examples of a glaciated valley in Western Europe. The narrow valley is located between Macgillycuddy’s Reeks and Purple Mountain and features five separate lakes, connected by the River Loe. The ‘Wishing Bridge’ between Coosan Lough and Black Lake is a popular tourist spot. Lough Currane lies at the Southern end of Macgillycuddy’s Reeks in a valley near the village of Waterville. 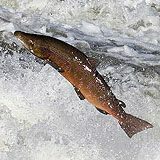 This magnificent lake covers an area of over 2,500 acres and is famous for its early salmon and trout fly fishing. 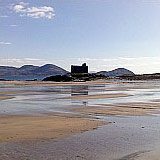 The unspoilt Ballinskelligs beach is located on Kerry’s Iveragh peninsular and is overlooked by the ruins of Ballinskelligs Castle, built in the 16th century to protect the bay from marauding pirates. Waterville Golf Links is a classic and challenging links golf course almost entirely shaped by the elements. 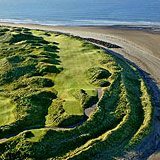 With its spectacular views over the Atlantic Ocean, it is one the most popular courses in Ireland and is ranked in the top 20 links courses in the world.